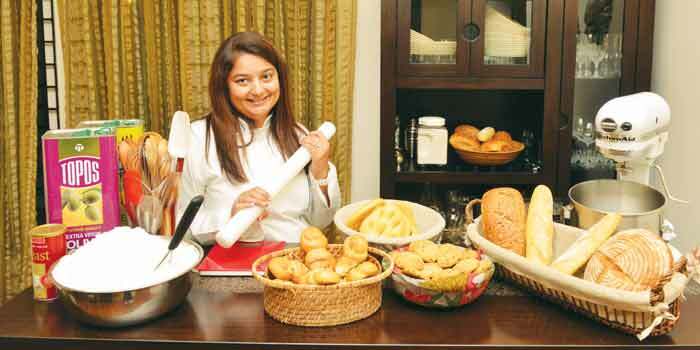 Fondly known as a�?the bread ladya�� among the parents of the American International School (where her children study), Soni Singh has been creating a�?hand crafteda�? breads for six months now. A finance professional who used to bake to entertain, Singh hails from New Delhi and moved to the USA after her marriage in 1995. Both she and her husband work for Ford and their jobs brought them to Chennai in 2010. Last summer, after much encouragement from friends, she decided to take up baking and completed a course at Cordon Bleu, London. a�?This is specifically for the expat palate,a�? she says. After investing in an expensive oven and consulting with head chefs at The Leela Palace and ITC Grand Chola, Singh decided to import several ingredients. a�?I travel a lot and bring back baking soda, food colour, sprinkles, etc,a�? says Singh, 41, who has a trained team of five baking under her. And since it is artisan breads she offers, a�?no two loaves are the same.a�? It can take anywhere between three to 12 hours to bake a loaf, depending on the prep work and fermentation time. From multi-grain to whole wheat, and rye to olive oil breads and focaccia a�� Singh has a long list on rotation. And for those who need something special, she also does a few desserts (key lime pie, NY cheesecake, mud pies, cupcakes and cookies) and dips (pesto, peanut butter, sundried tomato, hummus, etc). a�?I send the menu in a text or a WhatsApp message to my active customers in the evening,a�? says Singh, who has around 200 on her list. The orders come in by night and they have around 50 loaves (usually two varieties a day) ready for pick up by 3 pm. Singh does not provide delivery, but till now, her customers have been happy to pick up their orders from her residence in Kotturpuram.